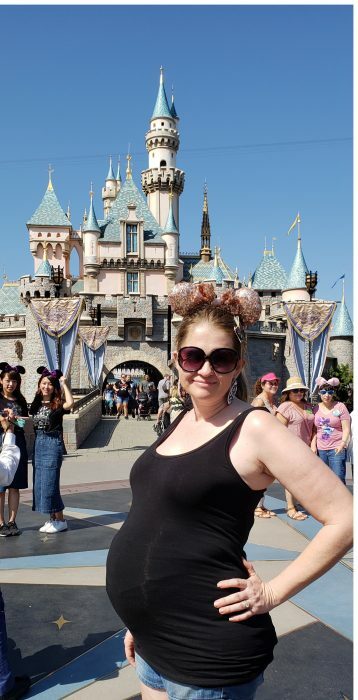 I visited Disneyland twice while pregnant. 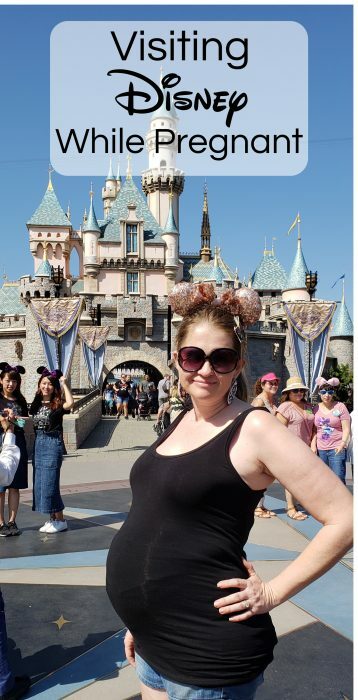 Though I was pretty much sick the majority of my pregnancy, I could never say no to a Disney trip! I wasn’t sure how I’d do but it actually wasn’t so bad, even with the heat! We were pretty lucky to go with two older kids because they were able to run off half the time while Clever Dad and I could take our time and explore. 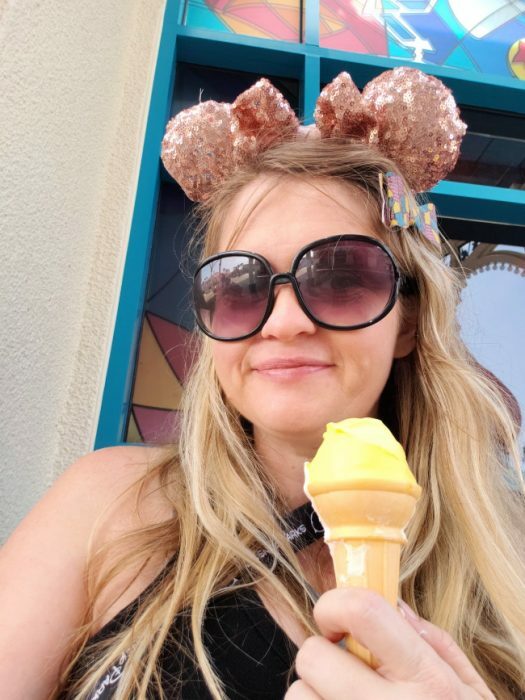 I’m sharing my tips for visiting Disney parks while pregnant, below. If you have any more tips, please share them in the comments! Look for the rides that don’t have the pregnancy warnings – you can do this right on the app! Remember to drink water! Ask the restaurants for cups of ice water – these are free and are perfect to refill water bottles. Make time to sit and relax – when you feel like you could go all day, you should still give your body a rest. If you are going when it’s warmer, look for places to sit inside like the Tiki Room or a counter restaurant. 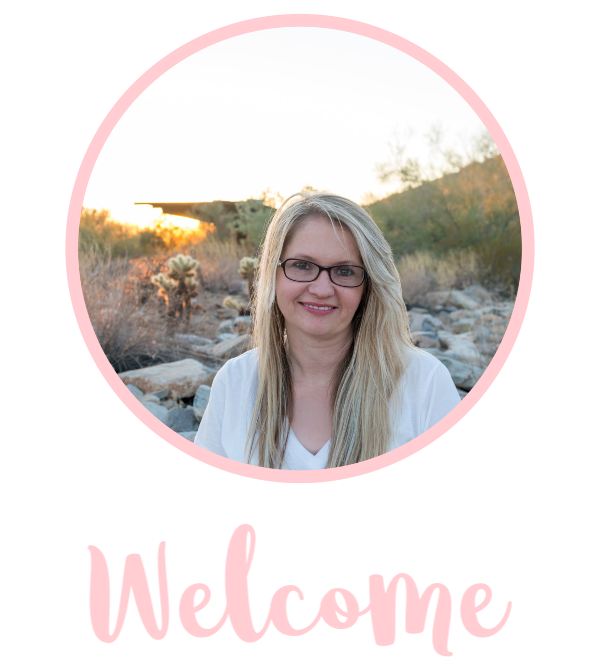 Wear comfortable shoes – I realize this should be a given but trust me when your feet swell you will want to be in the most comfortable shoes. I bought some memory foam ones and they worked perfectly. Eating treats is one of the best things about being pregnant, in my opinion so be sure to try all the things! 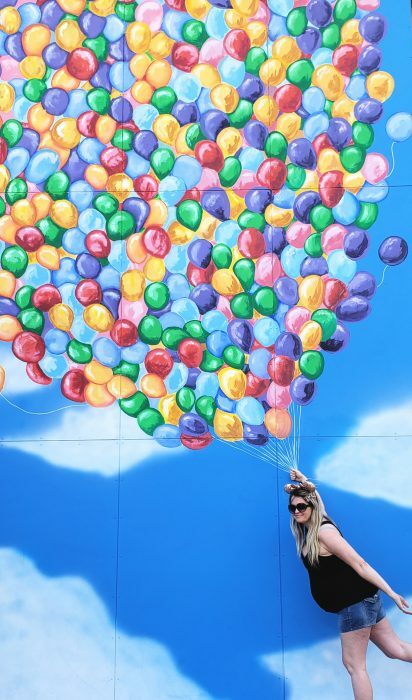 Walk around and do non-ride things like take fun pics! If you need a break from walking, you could always rent a stroller or electronic scooter. Midway Mania (here’s a tip if you are super pregnant and not into stairs, ask them at the front of the line if you can go to the boarding with no stairs at the exit.